Start the clip at 21:25! Let us know if you'd like to sponsor in 2017! ​The Rookery Café offers globally influenced food, featuring seasonal Alaskan ingredients, and has been voted best restaurant in Juneau for the past two years. With award-winning chef, Beau Schooler, driving their innovative and delicious dishes, The Rookery is one of Alaska’s favorite eateries. Watch award-winning chefs in action. 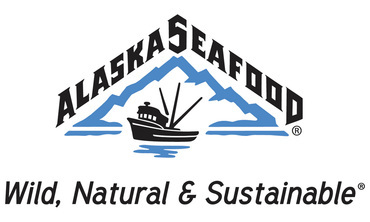 Taste the freshest, sustainable, wild Alaskan seafood. Enjoy wine and local brew. 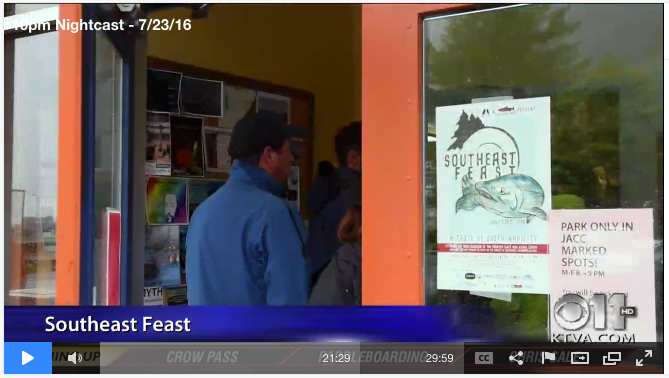 The unified dream of award-winning Juneau chef, Beau Schooler, of The Rookery Café and Salmon Beyond Borders, Southeast Feast invites you to celebrate the wild and sustainable bounty of Southeast Alaska. With visiting chefs from around the U.S. and Canada, you'll experience unique preparation of Southeast Alaska's seafood. 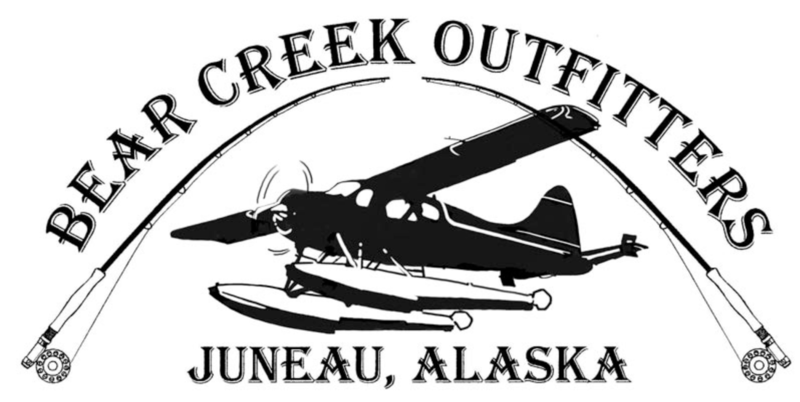 BEAU SCHOOLER, Juneau - Born and raised in Anchorage, Beau began his cooking career at the age of fourteen. After working at several restaurants throughout Alaska and in Portland, Oregon, Schooler enrolled at the Italian Culinary Institute in Calabria, Italy in 2006, working with some of Europe's most renowned master chefs. 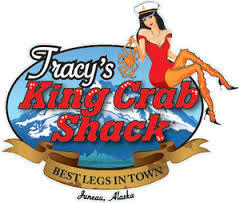 Upon completion of his studies, Schooler made his home in Juneau, where he currently owns and operates several successful eateries. Schooler's first venture, The Rookery Cafe, offers globally influenced food, featuring seasonal Alaskan ingredients, and has been voted best restaurant in Juneau for the past two years. In 2014, Schooler reenrolled in the Italian Culinary Institute, this time focusing on traditional Italian charcuterie, inspiring Schooler to open Panhandle Provisions, a specialty grocery store featuring house-cured meats and handmade pastas, among other specialty items. Schooler's, most recent venture, The Taqueria, aims to bring authentic Mexican food to Alaska. 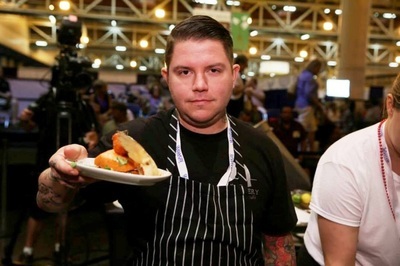 In 2015, Schooler was nominated for the James Beard Foundation’s “Rising Star of the Year” award, and was crowned King of American Seafood at the Great American Seafood Cook-off in New Orleans. Schooler continues to expand Alaska's culinary scene with a traditional Italian restaurant, In Boca al Lupo, which opened March 2016. RYAN LACHAINE, Houston - After graduating from the Art Institute of Houston in 2009, Ryan began working as a line cook at several famed Houston eateries, including Gravitas, Stella Sola and Reef before deciding to spend time staging at various restaurants around the country. Under the guidance of chefs like Sean Brock, Donald Link, Vinny Dotolo, John Shook and Daniel Patterson, Lachaine spent time in some of the most admired restaurants in the nation, including Husk in Charleston, both Cochon and Herbsaint in New Orleans, Animal in LA and Coi in San Francisco. In 2012 he became exec Sous Chef at Underbelly in Houston under Chris Shepherd. 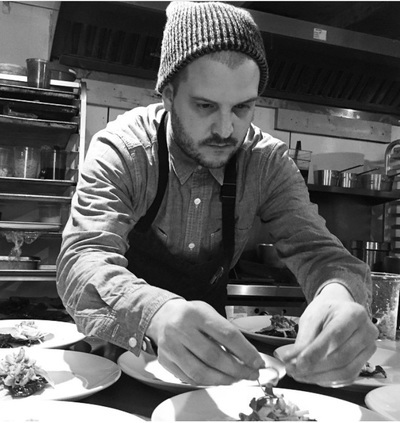 Ryan returned to Reef in 2014 as Chef de Cuisine under Bryan Caswell. Ryan is currently in the process of opening his first restaurant, Riel in Houston, Texas in Fall 2016 as Executive Chef. 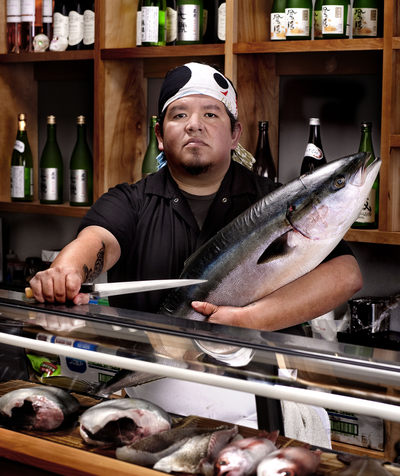 RICHIE NAKANO, San Francisco - Richie is a chef and the founder of Hapa Ramen in San Francisco. Growing up in a Japanese-American family who loved sharing big meals triggered his interest in a food career. He worked as a waiter and bartender after high school and eventually enrolled in the California Culinary Academy. Richie started his career cooking Asian food, first at Sushi Ran and then Va de Vi and Pres a Vi. Looking to expand his repertoire, he then joined the team at Nopa, where he learned about seasonality, California ingredients, and layering flavors. At the same time, Richie was eating a lot of ramen throughout San Francisco and wanted a bowl that met his standards—made with better ingredients and proper technique. 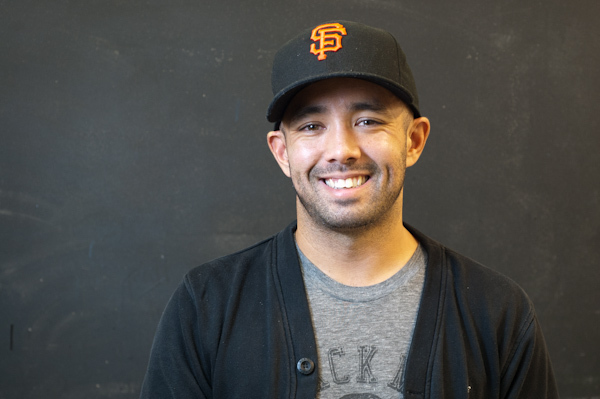 In 2010, he opened Hapa Ramen, a pop-up food stand at the Ferry Plaza Farmers Market. By teaming up with some of the best organic farmers and employing modern techniques, he pushed beyond the concept of what traditional ramen can be. He then opened Hapa, his first brick-and-mortar ramen noodle restaurant, in fall 2014, focusing on non-traditional Japanese ramen, and ran it to critical acclaims until late March 2015. Currently he is a chef with the Delfina Restaurant Group. 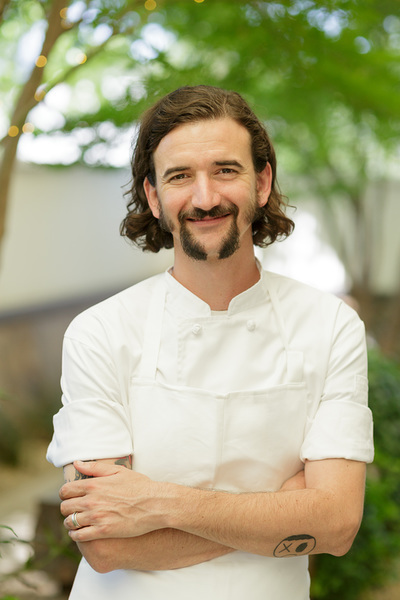 TREVOR KUNK, Napa Valley - Trevor is Executive Chef and Culinary Director at PRESS, originally coming from the East Coast, where he spent seven years as chef de cuisine at Blue Hill New York. Chef Kunk aims to further refine the farm-driven steakhouse with an increased focus on local, sustainable produce, humanely raised meats, and responsibly sourced seafood. After graduated with an AOS in Culinary Arts from the Culinary Institute of America in Hyde Park. In 2004, he transitioned to Blue Hill, working his way up from cook to sous chef and then finally on to chef de cuisine. Chef Kunk’s move to Napa Valley in spring 2014, prompted in part by a desire for a friendlier year-round climate, was excellent timing for PRESS. The restaurant was in need of a chef to take full advantage of the agricultural bounty of Rudd Farms that exists exclusively to support PRESS and Oakville Grocery. SCOTT VIVIAN, Toronto - Born in Montreal to an Indian mother and Italian father, food has always been an important part of Scott's life. 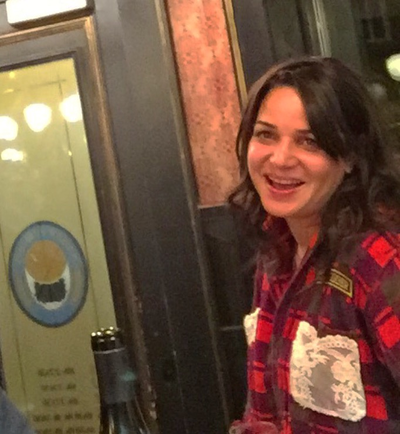 After cooking in top kitchens in Atlanta and Portland, Scott returned home to Canada where he worked for Tobey Nemeth at the Jamie Kennedy Wine Bar. After a year he was promoted to chef de cuisine of Jamie Kennedy at the Gardiner where local food procurement was an every day occurrence. In June of 2010 Scott was able to fulfill his dream of owning a restaurant by taking over the culinarily historical space on 96 Tecumseth Street. His passion of supporting local artisans is the number one philosophy at Beast Restaurant. With a weekly changing menu, Scott allows seasonal produce and top quality Ontario ingredients to become the focal point of the gastronomic experience that is offered. MICHAEL GULOTTA, New Orleans - Born and raised in New Orleans, Michael Gulotta began cooking in local restaurants at age 17. After graduating from the Chef John Folse Culinary Institute, he joined the newly opened Restaurant August under Chef John Besh. Gulotta then took leave to train in the Italian Riviera and Germany’s Black Forest. When Hurricane Katrina hit, Michael returned home to help rebuild and assist with August’s re-opening. He was named Chef de Cuisine in 2007 and led the award-winning kitchen for 6 years, while establishing relationships with local farmers and purveyors. He opened his first restaurant, MOPHO, in January of 2014 with his brother, Jeffrey Gulotta, and high-school friend, Jeffrey Bybee. Located in New Orleans’ Mid City, MOPHO strives to be a true neighborhood restaurant and a destination for Southeast Asian inspired cuisine utilizing the Louisiana pantry. In it’s first year MOPHO was nominated for America’s Best New Restaurant by Bon Appétit Magazine and named Restaurant of the Year by New Orleans Magazine. 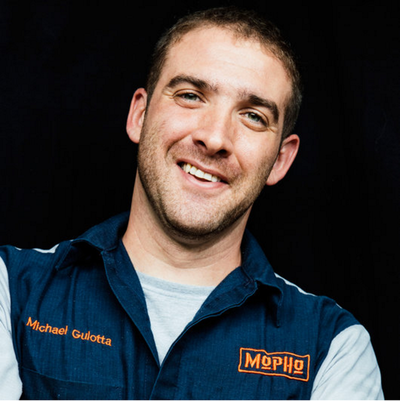 Michael was just recently named one of Top 30 Chefs to Watch in the nation by Plate Magazine, A New Orleans Rising Star by Starchefs and a 2016 Best New Chef by Food & Wine magazine. TIM ARCHULETA, San Francisco -Tim owns the award-winning company, ICHI Dozo Restaurant Group with his wife Erin Archuleta. He has nineteen years of experience as a sushi chef and over ten years of experience managing restaurant kitchens. Tim is civically and culinarily engaged. Tim has co-hosted a fish market tour for the International Association of Culinary Professionals annual conference, and participated in the San Francisco debut of the Asian culinary LUCKYRICE festival. Tim has participated as a Celebrity Chef offering up demonstration tips at San Francisco magazine’s FallFest and the Asian American Heritage Street Festival. He is a member of the Golden Gate Restaurant Association. Tim serves as a volunteer chef in The Center for Urban Education about Sustainable Agriculture (CUESA)’s Sunday Supper and Summer Celebrations which support the Ferry Building Farmers Market and education programs; a volunteer educator for the food and community nonprofit 18 Reasons; and is a supporter of local, sustainable agriculture and fisheries. ICHI Sushi, has been named one of America’s Top Restaurants (Zagat National 2013), one of San Francisco’s Top Twenty (Zagat San Francisco 2013), has won Best of the Bay in five outlets; Best Japanese 2012—2015 by 7x7 magazine readers; a Small Business Week Award, 2014 from San Francisco Mayor Edwin M. Lee, and scored high praise from The San Francisco Chronicle, as offering one of Restaurant Critic Michael Bauer’s Favorite Dishes; and The San Francisco Chronicle Top 100 Restaurants 2014. Tim’s cooking has been featured in The New York Times; USA Today Travel; AAA’s VIA magazine; The Hollywood Reporter; Louis Vuitton’s San Francisco City Guide; Lonely Planet’s San Francisco and Encounter guides; The San Francisco Chronicle; The San Francisco Examiner; San Francisco magazine; 7x7 magazine; Edible: San Francisco; Meatpaper magazine; Specialty Food Magazine; Athlete’s Quarterly; KQED’s Bay Area Bites; and on NBC KRON 4, and Tokyo TV, as well as in numerous blogs. 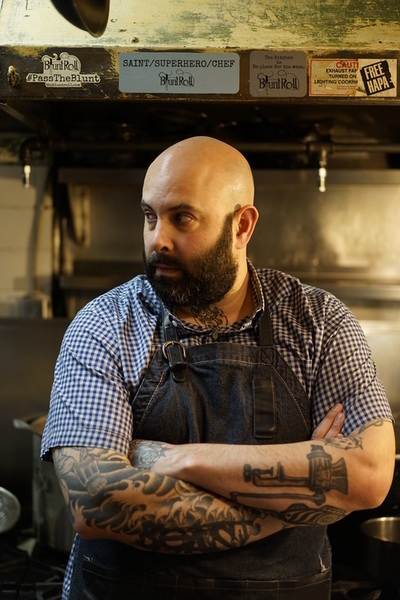 Tim is a native of Sacramento, California, and formerly apprenticed under the tutelage of Sensei Chef Kiyoshi Hayakawa at Tokyo GoGo and Ace Wasabi in San Francisco. TANYA KELLY, Toronto - Tanya is the owner/designer of Blunt Roll. Fully washable and made to last, Blunt Roll (TM) aprons are designed and created for chefs. Like the brigades that wear them, they work hard and look good at the same time. Tanya started with a busgirl, who moved up to waitress, then tended bar, wanted to work in a prep kitchen, moved on to garde, became a restaurant owner, then fled to the country to farm organic produce and raise meat. Today Tanya hand makes each apron. Made for chefs. OFTEN IMITATED, NEVER DUPLICATED.